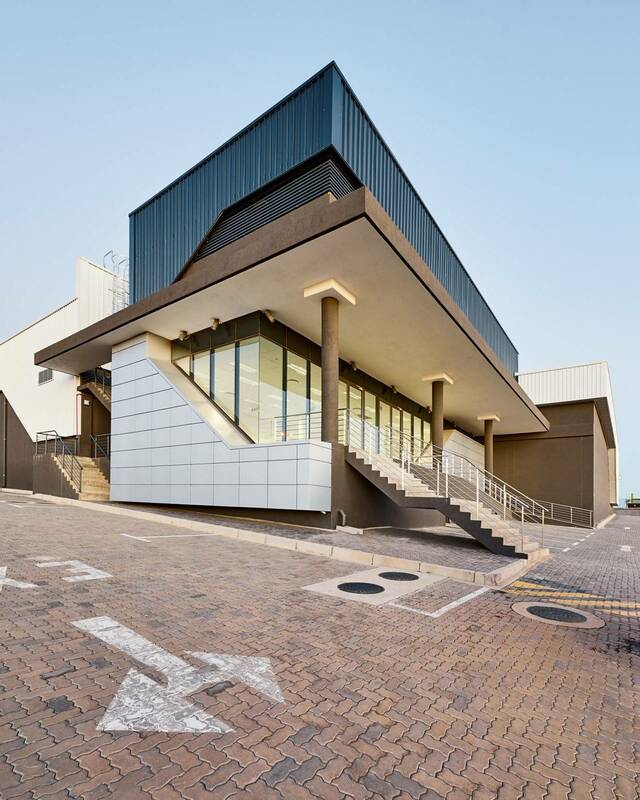 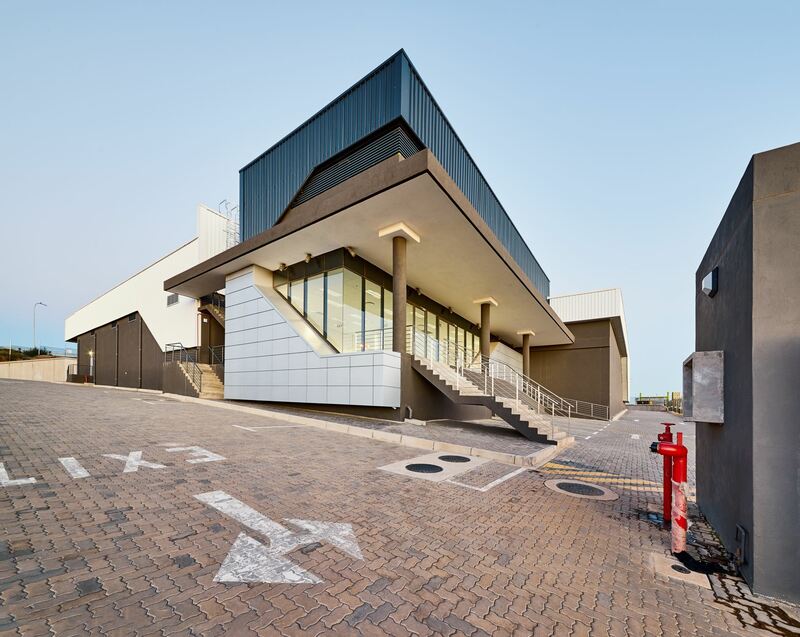 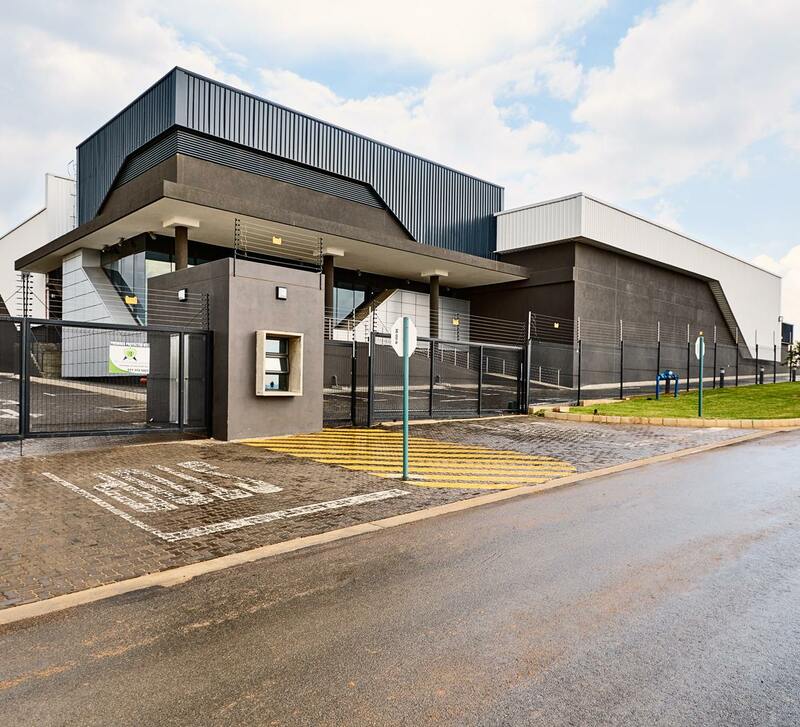 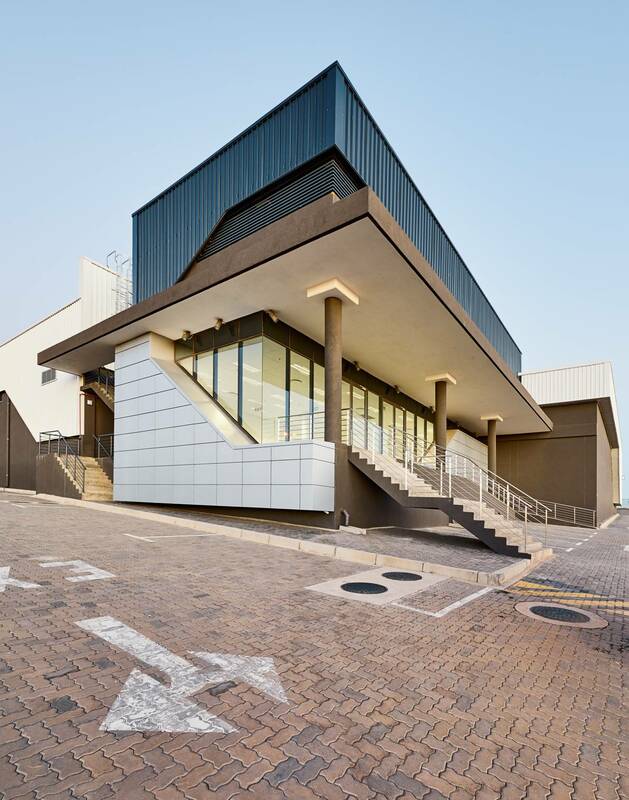 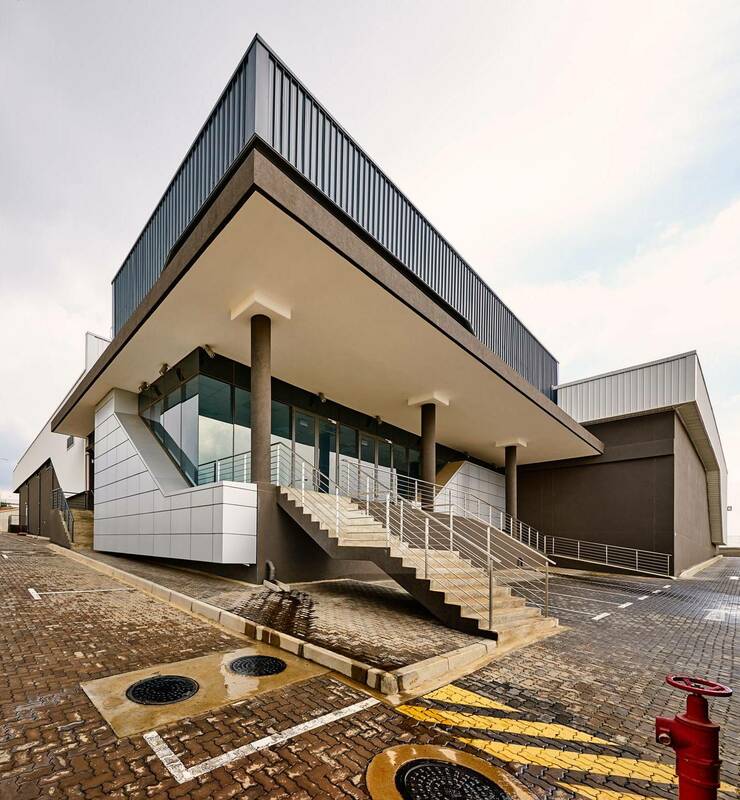 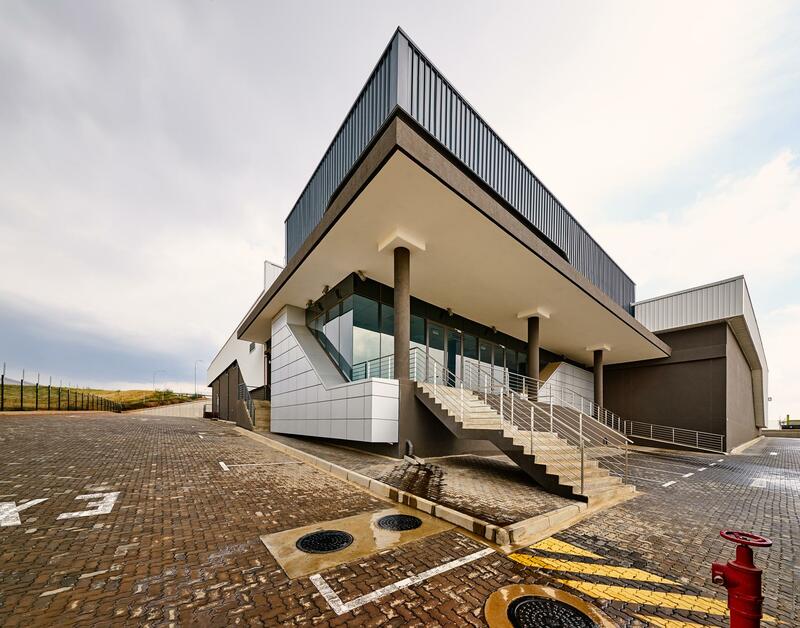 This is one of the first pharmaceutical medical centre buildings in Africa developed by a Korean Pharmaceutical Company, GCMSA. 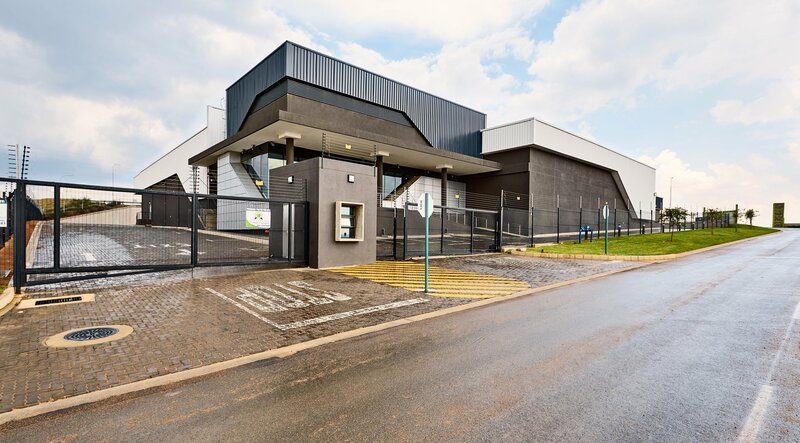 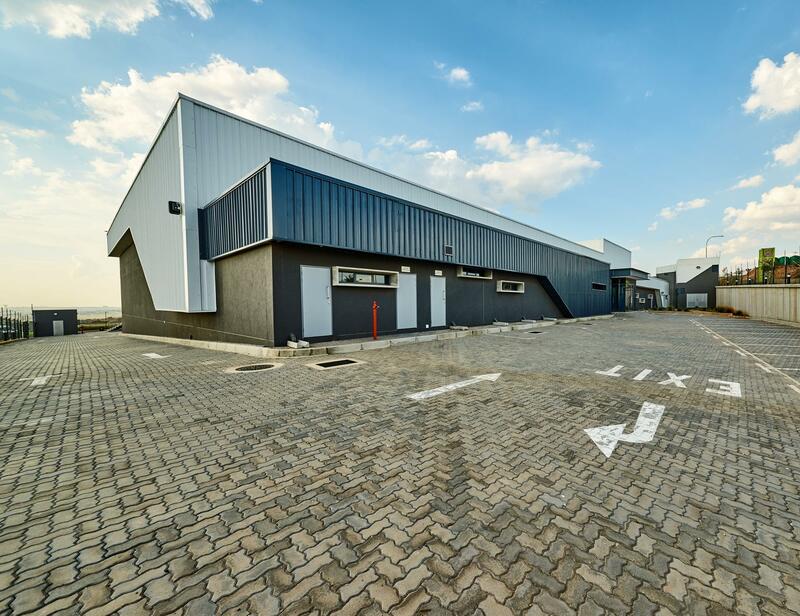 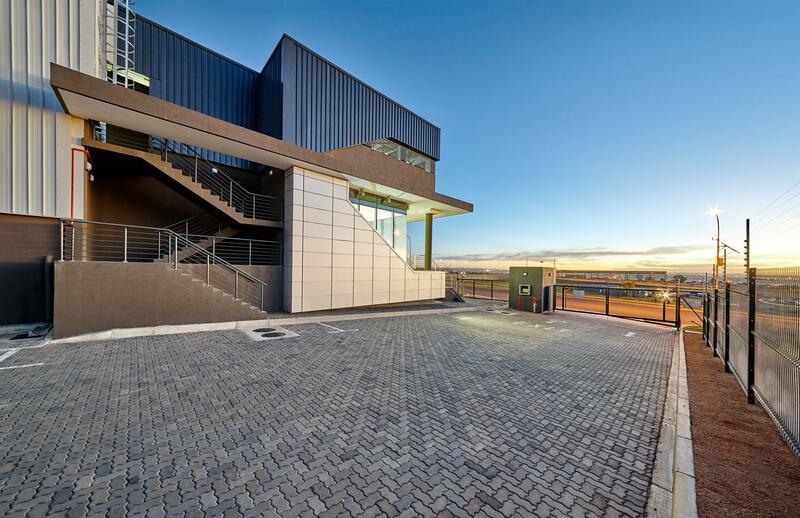 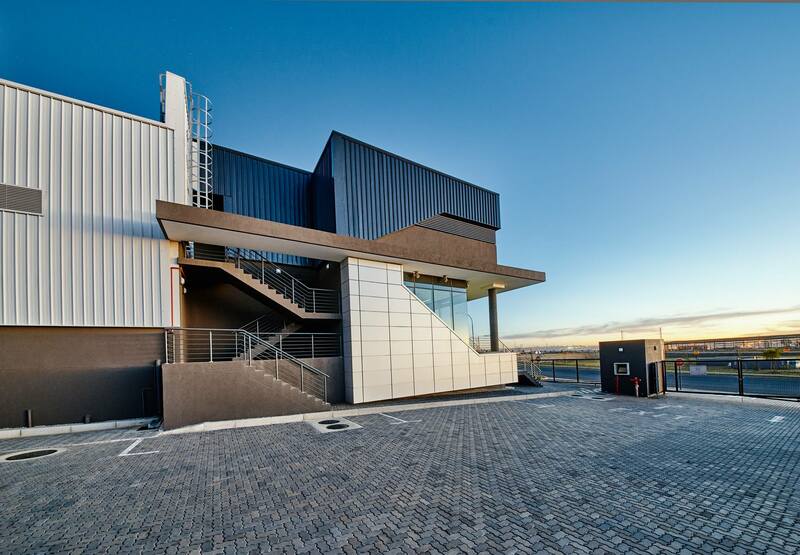 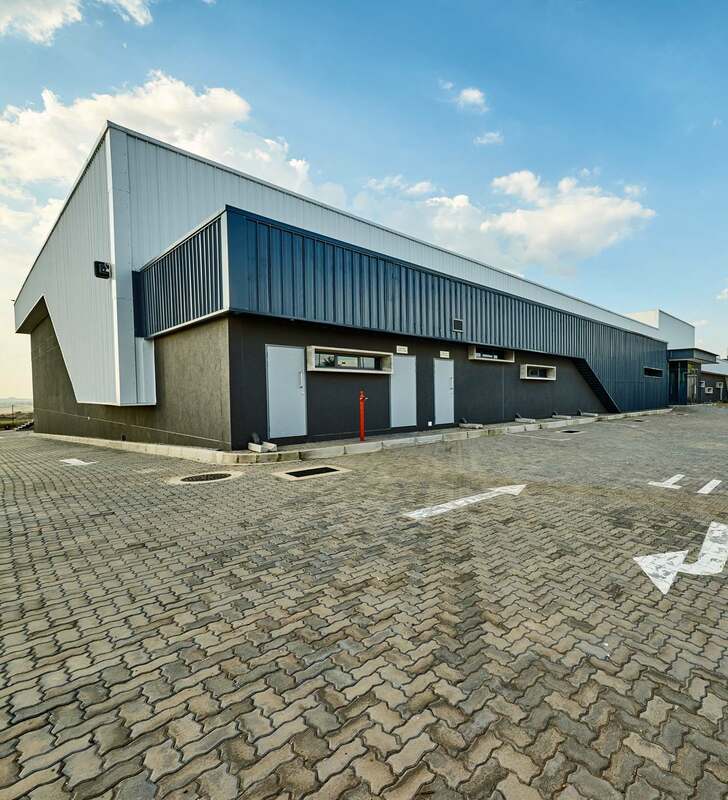 The building is located at Chloorkop in Gauteng. 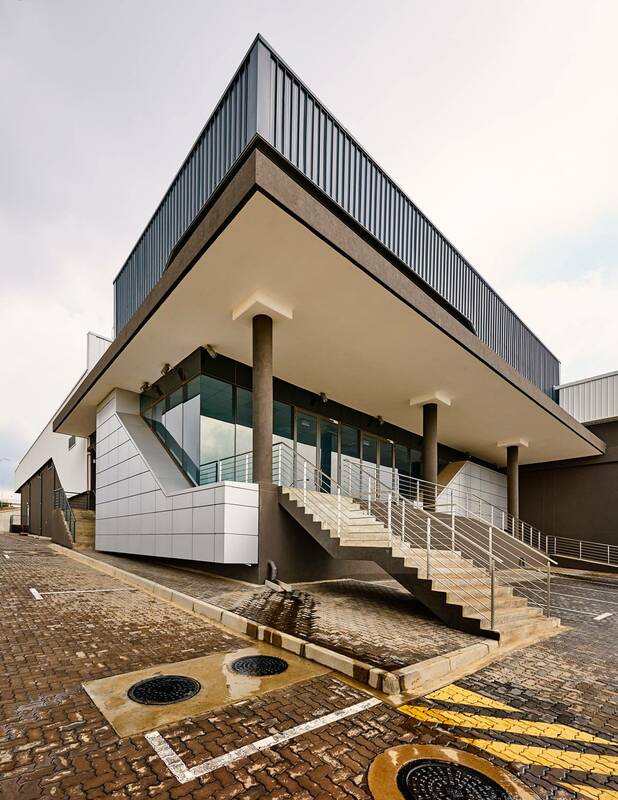 The metal sheet cladded structure with angular forms expresses a contemporary design philosophy of integrated designs that flow easily into the surrounding terrain.